Apparently Glenn Beck was not invited by FoxPAC, the Republican/tea Party Propaganda outlet, to participate in election coverage this evening. Well that won't stop Beck from jumping up and down with glee when the reactionary Republicans take control of the House of Representatives. He's going to have his very own webcast on his subscription online service, Insider Extreme. In every legitimate news corporation, there is a non-competition clause to prevent what Beck is doing, engaging in a clear conflict of interest. In his newsletter, Beck offers a rationale for his rogue operation: "America’s government is supposed to be of the people, by the people and for the people - shouldn’t your election coverage be too?" So paying Beck a subscription fee to watch him celebrate the end of this brief spurt of progress for the people against the special interests is what? 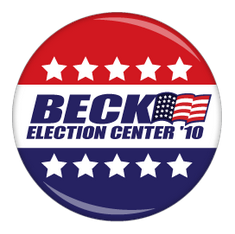 Election coverage of the Beck, by the Beck and for the Beck's bank account. Isn't that wonderful for Beck? Sure it is! Now pay that subscription fee and stop asking questions (about his motives). At least Beck isn't promoting himself. So Beck is competing with Fox on election coverage this evening, and that is fine with Fox manager, Roger Ailes and Fox owner, Rupert Murdoch? They may not have been informed of Beck's scheme. As StopBeck critic notes, "Glenn Beck, supposedly one of Fox News’ biggest stars, is urging his fans to tune out cable news on election night and tune into his non-Fox News coverage. 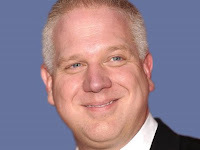 And we’re supposed to believe that there isn’t growing friction between Fox News and Glenn Beck?" If this does not get Beck fired, as it would get you and everyone else in America fired from their corporate gig, then what does it say about FoxPAC Inc? In case it is not clear already, it tells people that Fox doesn't play by the same rules as everyone else in America. Fox "News:" where anything that furthers the far right agenda is acceptable, no matter how unacceptable it is to everyone else in the world.